Four railroad crossings, including this crossing at N.W. 97th St., in Oklahoma City will be upgraded. 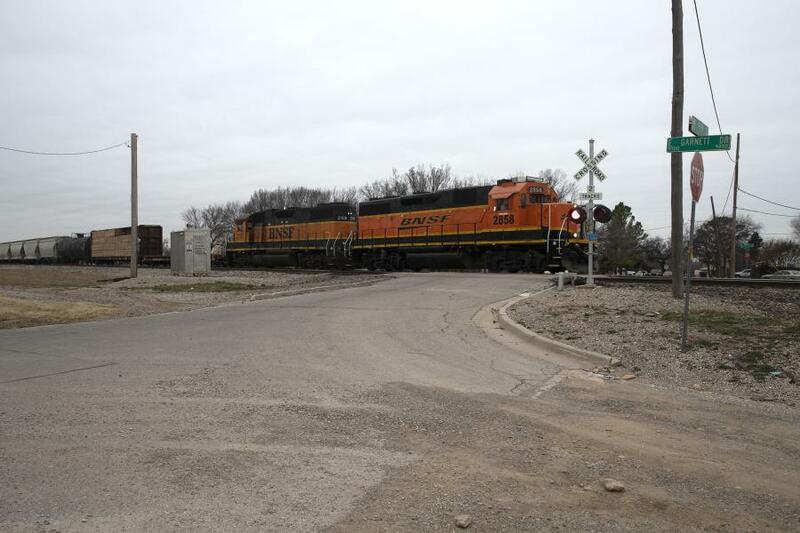 The Oklahoma Transportation Commission approved $1.4 million in dedicated federal funds combined with railroad company matching funds to improve safety at four Burlington Northern Santa Fe rail crossings in a primarily residential area in northwest Oklahoma City. Highlights of the Oklahoma Transportation Commission's Jan. 7 meeting include an update on the impact of the lack of a federal budget or continuing resolution on Oklahoma Department of Transportation projects, acceptance of two awards for concrete paving projects and approval of funding for improvements to four railroad crossings in Oklahoma City. Mike Patterson, executive director provided an update to the commission on the impact of the lack of a federal budget or continuing resolution on upcoming road and bridge projects in Oklahoma. About 45 upcoming projects totaling more than $137 million are having to be delayed from ODOT's January and February bid lettings to later months due to the lack of federal funding authorization. These include highway, county road and city street projects using federal funds. Projects that are already under contract are not affected because funds were already authorized before the contracts were awarded. "While we're very grateful that the Highway Trust Fund remains available to pay for the federal share of projects already under construction, the inability to award new contracts with federal funds could delay some projects from starting for several months." Patterson said. "If this budget impasse continues, contractors could miss out on some of this year's prime construction season in the spring and summer." The commission and department accepted awards from the American Concrete Pavement Association honoring two projects administered by ODOT in 2017. A more than $7 million project to reconstruct the intersection of SH-51 (Sixth St.) and U.S.-177 (Perkins Rd.) in Stillwater earned a gold award in the State Roads category at both the national and state levels. The project was administered by the ODOT Stillwater Residency. 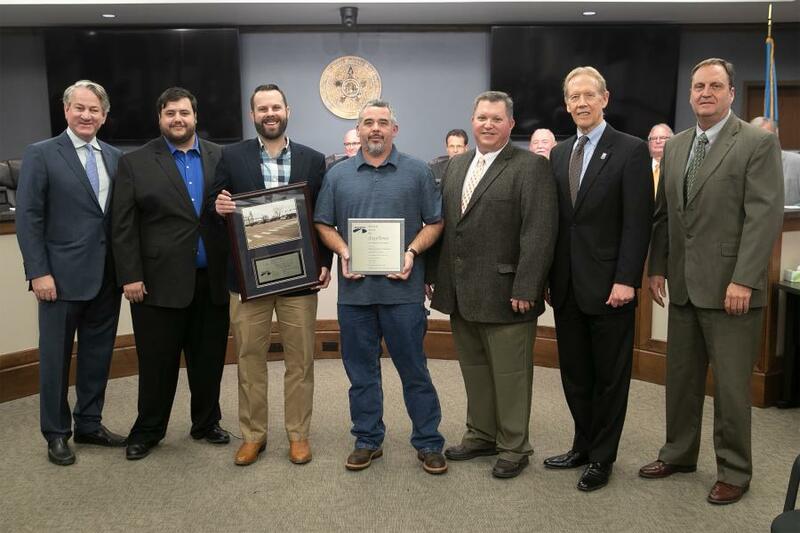 A $2 million project to reconstruct more than three miles of County Road EW-73 near Dover in Kingfisher County overseen by ODOT's Perry Residency earned a gold award at the state level and silver at the national level in the County Roads category. The commission approved a total of $1.4 million in dedicated federal funds combined with railroad company matching funds for projects to improve four Burlington Northern Santa Fe rail crossings at N.W. 97th St., N.W. 96th St., N.W. 92nd St. and N.W. 89th St. in Oklahoma City. These four rail crossings are located in a primarily residential area and currently have no gate arms. The funding approved by the commission will allow installation of new flashing signals with gate arms as well as some crossing surface improvements. As is customary, no new road and bridge construction contracts were put out for bid in December, so no contracts were awarded by the commission. The eight-member Oklahoma Transportation Commission, appointed by the governor to oversee the state's transportation development, awards contracts every month for road and bridge construction. The commission's next meeting is scheduled for 11 a.m. Monday, Feb. 11.